Did you know that Bed Start needs help from people serving every week? And did you know that they need more help than just delivering beds on Saturday mornings? Regardless of your activity level, Bed Start could use your help. Here’s when they need help and information on the type of help they need. Provide delivery on Wednesday evenings. Meet in the parking lot directly across the street from the church. All Wednesday night deliveries occur near the church. Provide Pick-up and Delivery help on Saturday mornings. Meet in the parking lot directly across the street from the church. Deliveries are made around Collin County. A pick-up truck/trailer are helpful, but not required. Having a servant’s heart and helping with Bed Start has no age limit. Youth are welcome to join us! If you can love on families and have a strong heart for showing kindness to someone we are serving than we want your help. You don’t need a strong back to be able to help. Monetary donations are also welcome to purchase beds and bedding. Donate online here, through Push Pay or make checks payable to Custer Road UMC, indicate Bed Start on the memo line, and place checks in the Offering Plate or send them to the church office. We are in need of various items for donation. If you have any of these items, please bring them to the Bed Start donation area across the street from Custer Road UMC in the parking lot on any Saturday or Sunday from 8am-11am. Please DO NOT leave items in the donation area in the Fellowship Hall. Bed Start provides beds, other furniture and household items to families in need. Gently used donations of items are always needed. 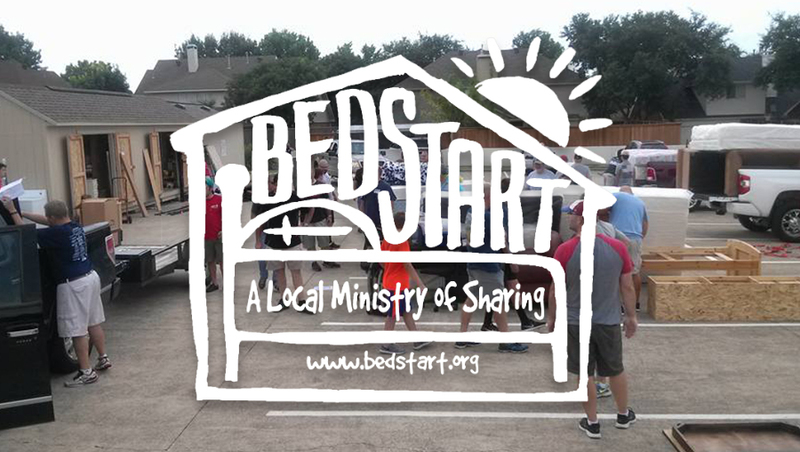 For more information, to arrange a large furniture pick-up or to serve on Saturday mornings with pick-ups/deliveries, please contact Doug Nickols via email at director@bedstart.org. We currently have a wait list of over 90 beds. Help make a difference in someone’s life this week!